For years, coconut oil has demonstrated its powerful uses in the kitchen. This natural oil is loaded with saturated fats and is one of the richest sources of energy. 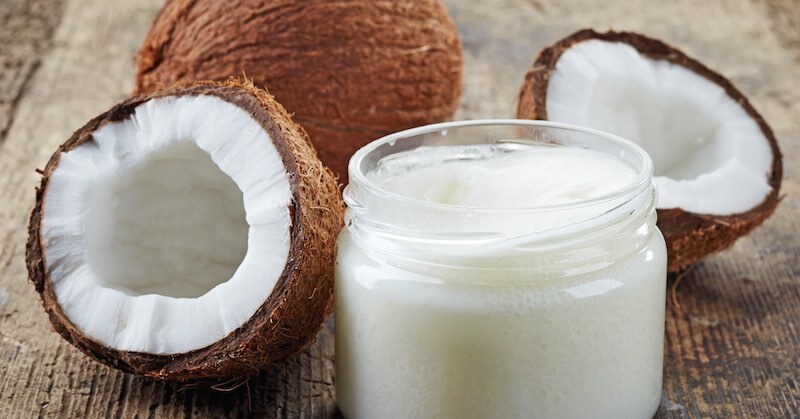 Although people are generally wary of foods that are high in fat, the fat that is found in coconut oil has proven to be beneficial for the heart and other aspects of your health. Incorporating coconut oil into your diet can help you reduce the risk of heart disease, strengthen your immune system and improve your digestion. But that’s not all. 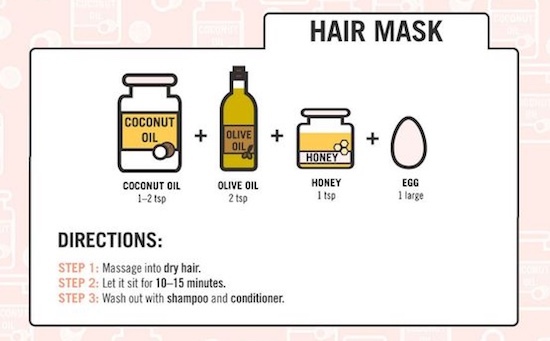 Coconut oil is also a great addition to your beauty regimen. This versatile ingredient never ceases to amaze with its endless uses and health benefits. The product that’s gained world-wide fame has been proven to soften skin, strengthen and condition hair, and moisturize your face, allowing you to delay the look of ageing. Furthermore, it contains anti-microbial properties that kill fungi, yeast and bacteria. This is beneficial for oral and personal hygiene. In order to help you reap the benefits of this God-sent gift, we’ve compiled a list of recipes for you. 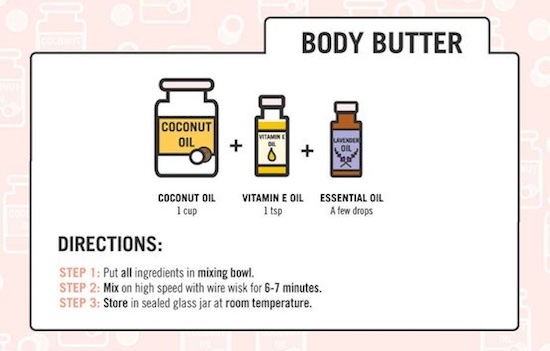 With coconut oil, you can easily make your own beauty products, such as deodorant, shaving creaming and body butter, in the comfort of your own home. 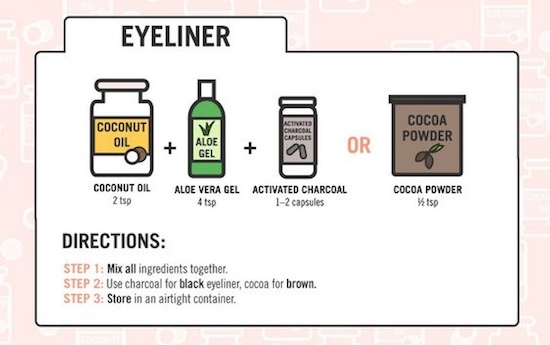 You’ll never have to navigate your way through another beauty aisle again! Go get that smooth, silky shine in your hair and stay looking young! You’ve tried all the creams, gels and cleansers, which are supposed to clear your acne and reduce pimples. But nothing seems to work. 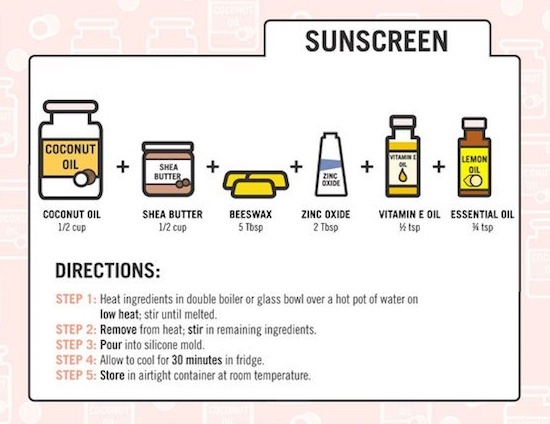 We have good news: coconut oil is an amazing solution for acne. Coconut oil contains lauric and capric acid. When these fatty acids are applied to your skin, they are converted into monocaprin and monolaurin, which have antimicrobial activity. This helps to restore the protective layer on your skin which is often removed through regular washing and wiping. Without the microbial infection, acne cannot develop. Coconut oil also penetrates the skin easily. Thus, it is absorbed quickly and immediately begins reducing inflammation from acne that is already present. Many commercial antiperspirants contain toxic ingredients that cause side effects, such as skin irritation. In addition, they actually clog your pores as a way of preventing the release of perspiration. These store-bought products are also dangerous as they contain aluminum, which has been linked to breast cancer and an increased risk of Alzheimer’s disease. 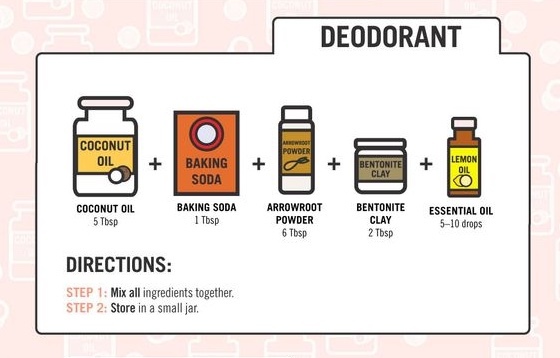 This coconut oil deodorant recipe is a much better alternative to antiperspirants. The coconut oil prevents odor by killing fungi, yeast and bacteria, baking soda neutralizes odor and absorbs sweat, and essential oils contain antibacterial properties, which also help prevent odor and the growth of sweat-digesting skin bacteria. Some people swear by the phrase, “If I can’t put it in my mouth, I won’t put it on my face.” This is a good phrase to live by considering the various harmful ingredients that can be found in make-up products. Many cosmetics contain endocrine-disrupting ingredients that have been linked to cancer. To avoid cancer-causing substances, use coconut oil to make your own cosmetics. Coconut oil, as we all know, is a natural ingredient and free of toxic chemicals, so it won’t leave your skin irritated. Furthermore, when you need to take off the day’s make-up, coconut oil also serves as a great make-up remover. Coconut oil has proven to have many health benefits on your hair. In ancient times, coconut oil was used in a remedy that prevented hair loss. In addition to this, coconut oil is now used for a wide variety of hair purposes: it protects hair from damage; cools the scalp; retains moisture and keeps hair soft; fights dandruff, treats lice and restores split ends. Coconut oil can do wonders for your skin, especially for making it soft and healing any dryness. Combining it with other exfoliating ingredients, like salts and sugars, helps enhance these effects. 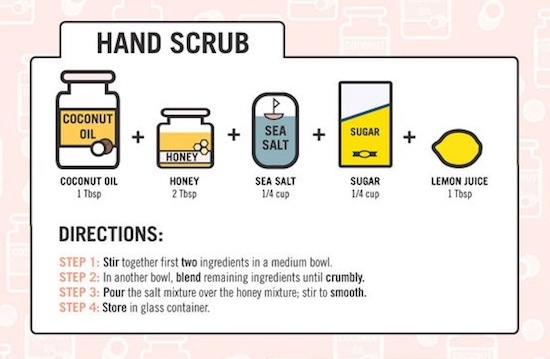 This hand scrub will help you to get rid of any dead skin and unblock your pores without leaving your skin feeling irritated. This natural oil works great with grainy materials to even out the colour of your skin and leave your skin feeling softer than ever. Drug store lip balms are usually the go-to solution for cracked and dry lips. The problem with these chemical gels is that they contain ingredients that may actually make your lips worse. For instance, menthol, which is meant to cool the lips can actually produce redness and swelling, as well as dry your lips. And aloe butter, an ingredient added to moisturise can irritate your lips. 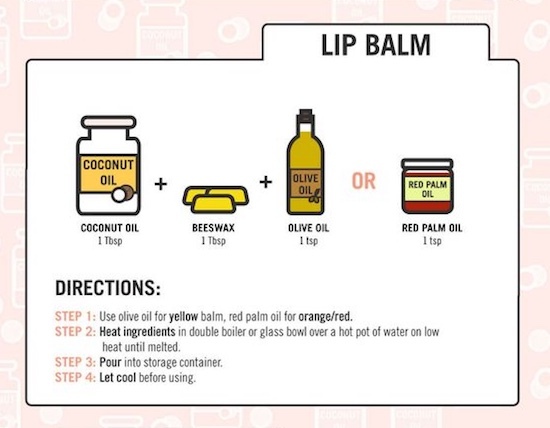 Coconut oil is a great alternative for healing your chapped lips. This natural oil acts quickly to restore dry lips and it’s edible, so you won’t have to worry about accidentally getting any in your mouth, as you would with chemical-filled lip balms. Regular shaving creams have a tendency to gunk up your blades and leave your skin feeling dry. But coconut oil does none of this. Not only does it leave your blades clean, allowing for an easier shave, it moisturizes the shaved area in the process of removing your hair. 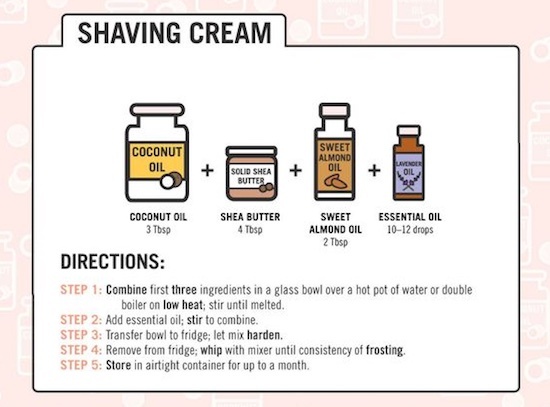 Using a coconut oil-based shaving cream will allow you to experience a smooth shave like you’ve never experienced before. Everyone knows about the harmful effects that the sun can have on your skin. It’s actually the number one cause of wrinkles. Coconut oil is a great base for sunscreen because it prevents premature ageing and wrinkling of the skin, thanks to its antioxidant properties. Standard toothpastes like Colgate Total contain an antibacterial chemical called triclosan. This chemical, along with other chemicals that disrupt the endocrine have been linked to health problems including: breast, ovarian, prostate, and testicular cancer, and pre-term and low birth weight babies. These toothpastes also contain fluoride. While it’s known to whiten teeth, it has been proven to have harmful effects, including causing hormonal problems. 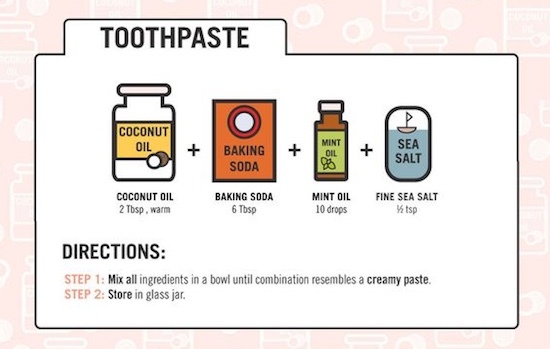 Coconut oil, however, does not contain any of these harmful chemicals and has also been found to fight cavities. Coconut oil is a source of Vitamin E. This vitamin is known to contribute to skin care. It is essential for healthy skin growth, repairing the skin, keeping skin smooth and protecting against cracking. Also read: How to make your own coconut butter.